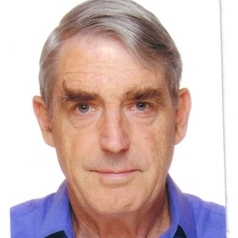 Anthony Reid was a member of ANU's former Department of Pacific & Asian History from 1970 1999, after an initial position teaching Southeast Asian History at the University of Malaya, Kuala Lumpur (1965-70). In 1999 he became founding Director of the Center for Southeast Asian Studies at UCLA, Los Angeles, and in 2001 founding Director of the Asia Research Institute of NUS in Singapore. He retired to Canberra in 2009, though accepting visiting positions at the Centre for Southeast Asian Studies at Kyoto University (2009-10), and at the Wissenschaftskolleg zu Berlin (2012-13).He was honoured with the Fukuoka Prize for Asian Culture (Academic) in 2002 and the Life Achievement Award of the Association of Asian Studies in 2011. He has been a fellow of the Australian Academy of Humanities since 1987 and the British Academy since 2008.